It was with some hesitation if not trepidation that I approached writing an essay about Jane Austen. Not that I am unfamiliar with this writer. Indeed, I came to know her and her works only too well. In fact, I have read every single one of her six novels, though not by choice. Once upon a time I found myself in desperate need of a certain course in English to finally complete my degree. This Bachelor of Arts diploma was “the Debra Tanis degree,” a phrase coined by a haughty and outspoken Dean of the Columbian College of Arts and Sciences at the George Washington University. She deigned to inform me that this university did not have such a degree for me. I suggested that it get one. Alas! The lengthy, arduous process of creating my own degree involved 2 universities, 2 coasts, and 2 entirely different phases of my life. Institutionalized education and I never did get along. The clash of wills began early, in kindergarten, and it only got worse. I was a quiet obedient child but a bit too observant. Being told at the age of five that I was too smart for my own good would prove to not be good for most teachers. One grand, glorious exception was Mrs. Helen Hirsch who loved me as part of caring about all of her students in her 2nd-grade class, the gifted class that I was placed into after being tested (puzzles, patterns, and ciphers) and found to be — gifted! During the previous grade, first grade - the only grade for which the name of the instructor still eludes my memory - I was deemed developmentally-behind and forced into “speech class” every afternoon during the cracker-and-milk break. The language that I spoke was not comprehensible to the educational “experts” (although it made perfect sense to me!). Within that group activity, I learned how to figure out which phonetic sound (that I could not correctly utter) was coming my way in a predictable pattern; I would change places ahead of time at the table. With a change of residence, I changed schools and was so far ahead of my peers from the third to eighth grades that the teachers permitted me to assist them with teaching the “problem” students. I am not sure what the union rules would have said about that unauthorized (and unpaid, at least to me) curricular activity, but I was fortunate in that era to have escaped - but just barely - the forced unionization of teachers. That politicization of a once-fine profession has created an industry that now resembles assembly line factory work, albeit without the quality controls in place. This situation was a bit of an embarrassment for the faculty and the administration. For this maverick student, however, it was an exhilarating chance to get some serious work done! 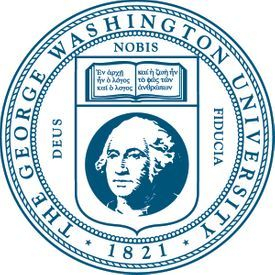 By the time that I arrived as a full-scholarship student at the George Washington University, I was indeed getting paid to be there, although the attitude of the officials was less than gracious. In fact, back then, a student who had earned a merit scholarship through academic excellence but who came from a dirt-poor family in a small town in a place like New Jersey was treated as a charity case or, worse, a social pariah. I was most curious as to why I was so mis-perceived by these affluent administrators. I viewed the scholarship as a basic business transaction. The university was investing in me; the social contract to which I agreed was to allow this institution, or its professors, to cultivate my intelligence and talents. “And that’s why you’re a social outcast!” One glib guy told me. I was then informed by many students that they were rejectees from Yale and were lucky to have gotten into GWU. I had to laugh! I’d rejected Yale! One of the conditions for the full scholarship from Yale was an advanced mathematics course that I deemed immaterial at that point in my life. I took that course a decade later when I was ready for it and it was ready for me! When that decade later came, a new year was dawning and I was coming ‘round the corner toward seizing (quite literally, but that clash of wills is yet another story) that treasured piece of paper during my final semester (of three) at a California university. This particular course had to cover 3 requirements, one of which involved scheduling. The class had to be an evening class since I was working full-time at the time as a technical writer. The only course that filled that bill was a 4-unit Master’s class in Jane Austen. The English professor who taught this class was a charming, erudite man who was quite enamoured of Jane Austen (and openly mocked the writing of the Brontë sisters). With only a slight amount of exaggeration, I stated that I too admired the works of Jane Austen. I waxed eloquent on her subtle witty style but remained mute on the Brontës. At that point in my young life I’d not read them and would not read them - and enjoy them - until thirty years later! This professor was one of the best English professors I’d ever encountered. I’d taken a required class in expository writing from him and he managed to hone my writing in a way that theretofore had not been achievable by several English professors. He knew instinctively what grit size of sandpaper to use to polish the rougher edges of my composition. By accomplishing that feat, he became worthy of a second class for this student. -- I read her novels at work, particularly at seven o’clock each morning while seated at the cafeteria table in the Federal office building. (Somehow reading Great Books at a cafeteria table had become a norm for me.) Geology and soils engineering supervisors would ask me questions about the plot of each novel. It was good practice for me, plot summary for the layman. The scientific male mind proved to be most curious about the morality, manners, and meals of these characters. The food, in particular, became a much-discussed subject at the cafeteria table! It was fortuitous that I spoke so much about the wretched potted meats being devoured so late at night (gout was a certainty). Several surprise quizzes covered the dinner table and its unpalatable choices to be devoured. 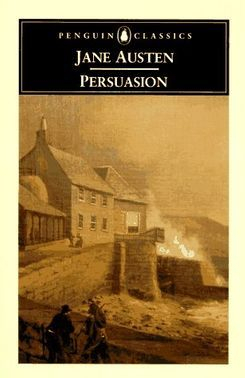 -- I read her novels in my apartment, particularly during Easter break (the novel was either Northanger Abbey or Persuasion). -- I read her novels at the local coffee shop (where I drank tea). -- I read her novels at work during coffee break (when I drank tea). 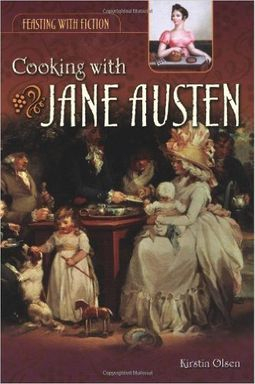 The dry wit and understated but cutting sense of humor -- both of which were sharpened to knife-like perfection by Miss Austen -- indubitably penetrated my technical writing. The problem was somewhat analogous to the period of time during adolescence when I was undergoing total immersion in French: I substituted French syntax for English syntax in a symmetrical attempt at linguistic synchronized swimming. As an undergraduate, I did extremely well among the six students in this class of Master’s candidates. I perhaps disappointed my professor by opting not to purchase, despite his kind encouragement, the annual Jane Austen calendar or the Jane Austen cookbook. I also chose not to join the North American Chapter of the Jane Austen Society. I did, however, realize that on my own, I would not have undertaken the reading and analysis of all of those novels by Jane Austen. I learned many lessons from Miss Austen. In fact, I learned much more from this English writer than I’d believed there was to learn from her. This situation pointedly served to point out my ignorance of the talents and wisdom of this prolific writer and tight storyteller with the private, whimsical voice. Born in 1775 in Steventon, Hampshire, England, Miss Austen was a precocious prodigy. She thrived in a large family that nurtured learning, writing, creative thought, music, and the spirit of adventure through the mind. As a girl, Jane (as well as her sister) contracted typhus and she nearly died from the illness. Her sensibilities about life perhaps became more compressed and deepened because of this trial, as well as by the death of her father when she was thirty. Subsequent financial straits made for a complete set of trials, the kind that can so often test an individual. Jane passed those tests of life with flying colors. Her innate talent for writing was thus enhanced and became expressed through a mildly sardonic wit and a natural framing of comedy and satire. This young woman also possessed a marvelously independent sense of self, an accomplishment that many a modern female has yet to pull off, despite being far less sheltered. 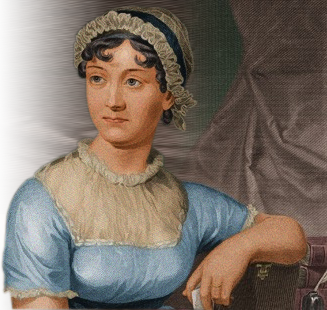 Miss Austen died at the fairly young age of 42 in Winchester, Hampshire, England. Her illness is conjectured to have been Addison’s disease but, much like the many factual details about the life of this realistic, romantic artist of letters — this thought is but a theory. 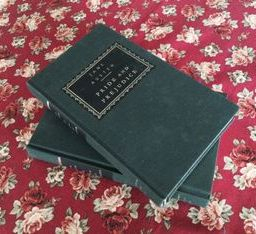 I own hard-cover editions of her novels. One day, I shall re-read them, not to relive those college days (and nights) but to afford my mind the opportunity to enjoy each page without a deadline, quiz, examination (or questions from engineering supervisors) hanging over it like the sword of Damocles. And, it truly goes without saying: I have not viewed any of the televisual and film feasts made from the ripe literary classics of Jane Austen.